Your Chincoteague Island story begins here! 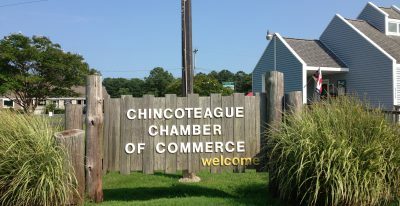 The Chincoteague Chamber of Commerce and Certified Visitor Center is happy to help plan your stay on our beautiful shores. Enjoy your time making memories as the Islands of Chincoteague and Assateague carry you away to new discoveries. Chincoteague Island, Virginia’s only resort island, is perhaps the most beautiful island on Virginia’s Eastern Shore. 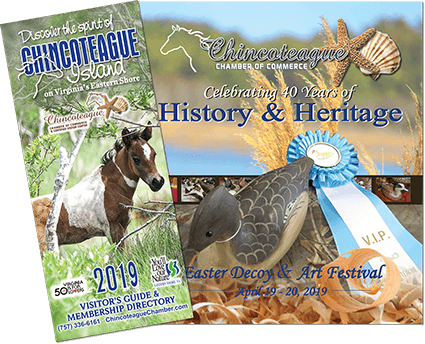 World famous for its oyster beds and clam shoals, Chincoteague is the gateway to the Chincoteague National Wildlife Refuge which is located on the Virginia side of Assateague Island. Chincoteague National Wildlife Refuge is also home to the world famous Chincoteague Ponies and an award winning beach at Assateague Island National Seashore. In addition to the unparalleled beauty of tranquil beaches with spectacular sunrises and sunsets, our islands off diverse wildlife, fantastic woodlands and marshes, scenic water views and wild Chincoteague Ponies. Our mild year-round climate enables continuous enjoyment of numerous activities.